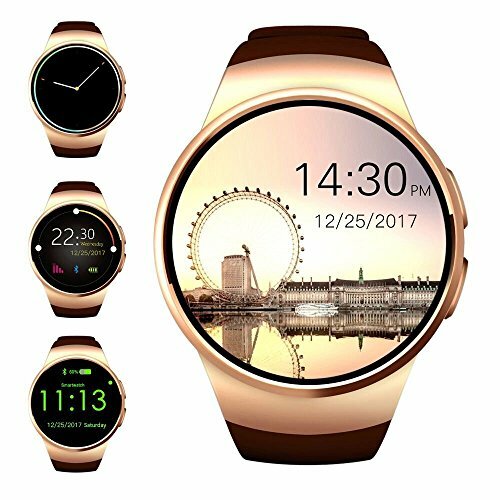 Health functions: Heart rate monitor, sedentary reminder, Pedometer, Sleep monitor.Water resistant ,NFC communication,Ergonomic convex design for comfort . Easily exchange information by synchronization with your phone via Bluetooth. Water resistant: IP53 rated smartwatch that protects your watch from accidental spills, when washing your hands or getting caught in the rain. TPU strap:Impeccable cutting Seamless connecting Dull Polish Soft and nonhazardous TPU. Battery: 340mah Polymer battery capacity, that is safe and reliable. RAM: 128MB +64MB , support max 16GB TF card. Main function: Sleep Monitor, Heart Rate Monitor, Calories calculation, Alarm clock, Sedentary reminder, Calculator, music player, calendar, Bluetooth information synced, alarm, and video recorder are waiting for you to discover and experience.